For all its fame, both in the Czech Republic and beyond, Dalibor is poorly served by commercial recordings. There seem to be about half a dozen on the market, but all are blighted either by poor casting or low hi sound. This new issue, of a 1979 recording under Václav Smetáček, isn't ideal, but at least it does the work justice. The Czech cast all have a real affinity for the music, and while none of their contributions is stellar, the consistent standard across the board aids the coherency of the result. The sound quality is not to the highest standards either, even for 1979, but the digital re-mastering is sensitively done. The opera itself is a curious mix of Czech nationalism and Germanic cultural hegemony. The plot, about an imprisoned freedom fighter, is clearly indebted to Fidelio, while the music owes just as much to Lohengrin and Tannhäuser. 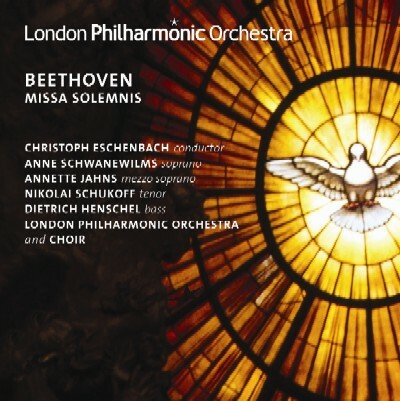 Complaints have been made down the years about the amount of German influence here, but Smetana integrates these elements well into a work that stands on its own considerable merits. It's well worth hearing without the visuals; especially the military marches and atmospheric scene-changes, which go a long way towards setting the mood and telling the story. Smetáček gives an expansive reading of the score, energetic but never dictatorial. He allows the singers all the space they need for their arias, and the results are all the more passionate and personal as a result. When Smetana requires careful control from the podium, Smetáček is always ready to deliver. The composer often writes long, even crescendos over the course of one or two phrases, and the even gradation that the conductor achieves always creates the drama the music seeks. The cast is made up of dependable and confident singers, all of whom expertly balance passionate expression with clarity of diction. Vilém Přibyl sings the title role with an impressively rich tone, although he can sometimes sound a little strained at the top. He really takes advantage of the space that Smetáček gives him for his solo arias, and you get the impression that he has taken full control of the stage every time he begins to sing. King Vladislav is sung by the baritone Václav Zítek. His is a big Slavic voice, which really comes into its own in the lower register. The pick of the female leads is Naďa šormová as Jitka. Her tone is intense but always focused, and her diction is impeccable. Good singing too from the chorus, which is large but never unruly. The orchestra, the Brno State Philharmonic, are also in their element with this music, particularly in the marches. The balance between stage and pit is good, but the sound quality is far better for the singers than it is for the players. The orchestra often sounds distant, with the higher sounds, the piccolo in particular, frustratingly thin of tone. If that is the price we have to pay for an otherwise impressive digital transfer, then so be it. The work is still in need of a good quality modern recording, but given the pride the Czech musical establishment takes in its operatic repertoire, that can only be a matter of time. Until then, this version will serve the opera well. Even when new recordings do appear on the market, this one will probably remain the budget version of choice. 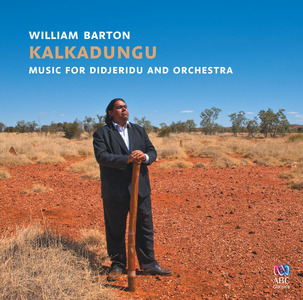 The Western orchestral tradition comes face-to-face with native Australian culture on this new disc from William Barton, so it is appropriate that the liner notes begin with a creation myth. The story runs that Barton, then a 21-year-old didj player from Northern Queensland, was engaged to perform a short introduction to an orchestral concert in Brisbane. Peter Sculthorpe's Earth Cry was also on the programme, but so impressed was the composer with the young didjeridu player's performance that he resolved to find a place for the instrument in the score of his work. The liner notes then go on at very great length (10 pages) about the meeting of minds between these two musicians and the extraordinary opportunities the collaboration heralds for Australian music in general. It all sounds too good to be true, but the recording of Earth Cry here in its new version bears out many of these claims. The work was written in 1986, and had already gained an international reputation before any thought was given to adding a didjeridu part. But in retrospect, it clearly needed something adding. Sculthorpe goes for bleak, expansive textures, leading many listeners to the conclusion that he was developing an Australian vernacular based solely on the size and featureless vistas of the continent itself. But Barton completely reinvents the work with his solo part. He demonstrates that the sound of the didj was already integral to Sculthorpe's orchestral palette, especially in the way he writes long pedals in the lower string parts, which he augments with sporadic barks and birdcalls from the winds. When Barton came to the piece, he was as yet unable to read music, so his interaction with it was by ear. But again, the shared musical heritage between himself and Sculthorpe clearly aided the process, and even the pace and structure of the piece seems tailored to Barton's additions. He interacts with the orchestra, sometimes interrupting it, sometimes responding and commentating, but always adding something of interest and value. Apparently the piece in its new form has become a staple of the Australian orchestral repertoire. The politics of cooperation it represents gives the whole project an important role in Australian culture. Hopefully this sort of cultural interaction will soon become a commonplace and no longer need such high profile advocacy. But even then Earth Cry with didjeridu will continue to deserve a place in the repertoire purely on its musical merits. The disc is marketed at William Barton's début album, and the rest of the programme is designed to show off his many musical talents, not only as a didj player but also as a guitarist and composer. Since working with Sculthorpe on Earth Cry, Barton has studied with the older composer and now has a number of works to his own name. But he's still happy to collaborate, and the other great revelation on this disc is the work that gives it its title, Kalkadungu. This piece for orchestra and didj was composed by Barton in collaboration with Matthew Hindson. It takes as its subject the violent struggles between Barton's ancestors and the European settlers moving in to exploit the area's copper reserves. The fact that the structure is essentially narrative suits the aboriginal musical techniques that are employed, based as they usually are in storytelling. The results are impressive, with ideas from native Australian music – songlines, earthy percussion and, of course, the didjeridu – clothed in opulent orchestral colour. The didj is actually used quite sparingly, only making its first appearance in the fourth of five movements, but it is clearly present in spirit throughout the work. The interaction between the didjeridu and the enlarged orchestral percussion section is particularly interesting, with a range of large, untuned drums complementing the soloist in a variety of musical contexts. Only one work on the disc is credited solely to Barton himself, I Dream of Sacred...I Am My Dream. This is a chamber work for soprano, a quintet of piano and winds, and, as ever, some didjeridu. Again, the overriding impression is of Western composition and performance conventions being adapted to music of aboriginal descent. The influence of Sculthorpe is evident throughout. His mentorship has obviously been productive, and although the music can occasionally sound immature, it has clearly been written by a composer confident of his abilities and, just as importantly, following his own path. There is never any suggestion here that Barton is trying to make his music more complex or sophisticated than it actually is in order to fit into the classical music scene or sound 'contemporary'. The work suggests he still has some way to go before his written compositions reach the musical standards he has achieved elsewhere, but it is a big step in the right direction. The remainder of the disc is made up of a range of short samples demonstrating Barton's versatility as a didj player. The longer tracks are interspersed with didjeridu solos, each with a different character and pace. Barton's mother, Delmae, speaks and sings over some of these, allowing Barton to demonstrate how the didj can function as accompaniment and doesn't always need the limelight. There is also an excerpt from Peter Sculthorpe's Requiem, which has a prominent didj part. This sounds like an ambitious project, involving choir as well as orchestra, but this single movement doesn't really provide enough of the work to assess it properly. But as with much of the music on this disc, the idea here seems to be to give a taste of things to come. This is certainly a promising début album, and it suggests a number of fascinating paths William Barton could follow in the years to come. Congratulations and thanks should go to the ABC for their support of this unique talent. Here's hoping that Barton's future recording projects are afforded similarly high profile exposure and international distribution.